I hope these captions work. Blogger is weird. And I am not the smartest blogging cookie. 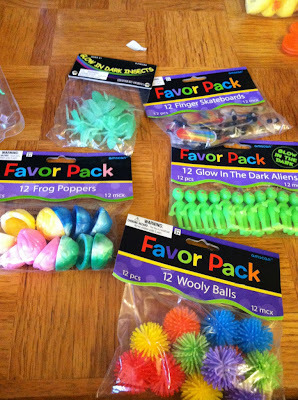 Anyway, flavor packs from Target and/or Party City, I forget. 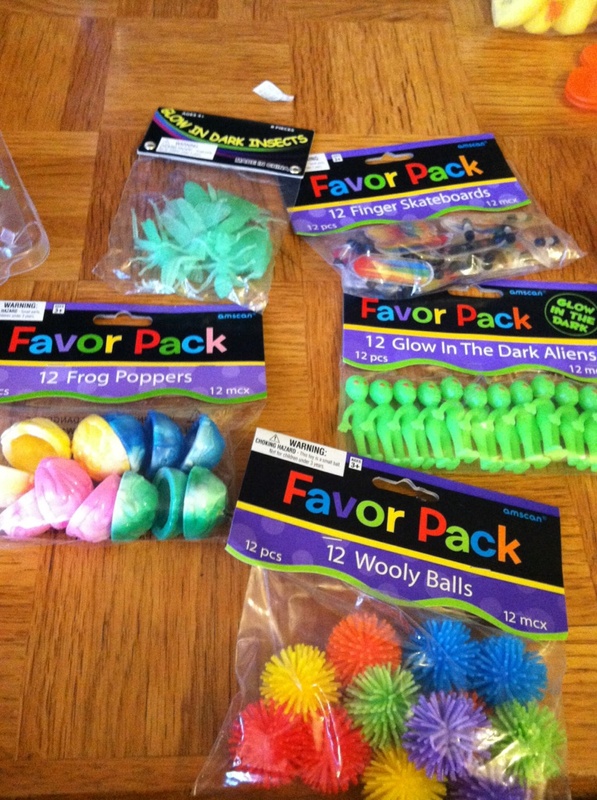 Glow in the dark aliens, Frog Poppers, Wooly Balls, glow in the dark insects (INCLUDING A GLOW IN THE DARK SNAIL SUPER EXCITING…LOVE SNAILS AS MUCH AS SLOTHS) and some finger skateboards. I may have them use the finger snakeboards to go down pathways, must experiment. Tonya of TherapyFunZone.com awesomeness, have you tried using these with all your road ways?